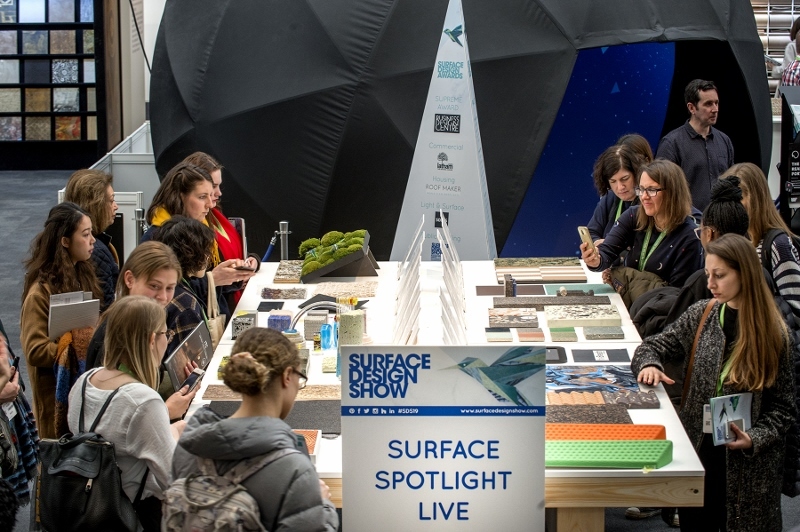 More than 5,000 architects, designers and specifiers from 47 countries descended on London earlier this month for the much anticipated Surface Design Show. 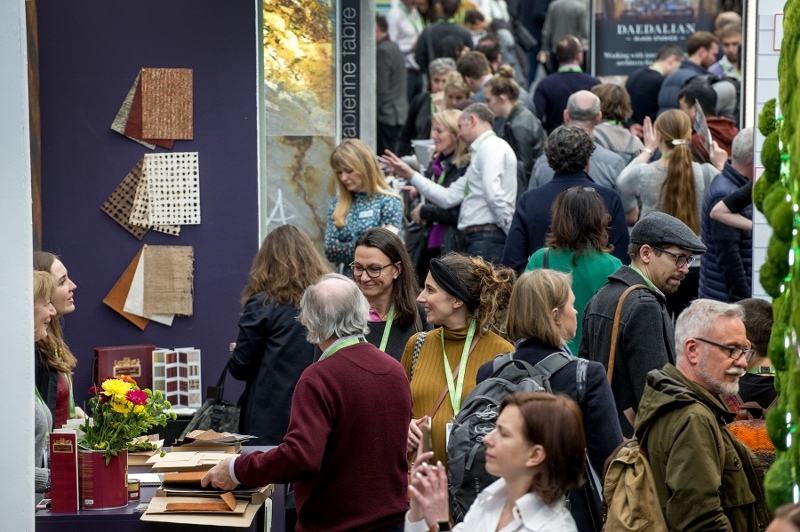 Over the course of three days, the show provided a packed schedule of insightful and entertaining panel discussions, informative CPDs and talks, trend forecasts and allowed exhibitors to display new products. Presenters included New London Architecture and RIBA who hosted the Opening Night Debate; Chris Dyson who presented the PechaKucha Evening; Hannah Malein of Colour Hive; Oliver Heath of Oliver Heath Design and Daniel Hopwood representing Design Guild Mark, all kept visitors engaged as they educated on ways of thinking about materials, current industry issues and trends. The surface experts at Armourcoat were at the show unveiling its new Acoustics Plaster System, which is designed with hotels and restaurant designers in mind with the aim to optimise the acoustics of interior spaces. While many acoustic surfaces are often bulky and not stylishly flexible, The Acoustic Plaster System offers a clean and smooth mineral surface that can be applied seamlessly over large expanses such as hotel lobbies or restaurants. Meanwhile, anne kyyro quinn, which produces bespoke three-dimensional acoustic walls coverings, supplied the backdrop for the main stage. The handmade textile wallcoverings are natural, durable, versatile and are therefore suitable for commercial as well as residential projects. Ethically handmade by master craftsmen, the premium patchwork cowhide rugs from Mosaic that were displayed on the stand were fabricated with 100 per cent recycled hides. Unlike other vendors which buy in full leather hides, Mosaic only use recycled hides from off-cuts of the luxury furniture and leather goods industry. The result, aesthetically, is a completely unique and customisable rug ideal for boutique hotels seeking characterful floors. Elsewhere, Friends of Wilson displayed its Tessellate acousitic wall panel, which is made from 100 per cent polyester fibres containing a minimum of 60 per cent post-consumer recycled material (PET bottleflake). Taking this concept into new territory were you designers Poppy Pippin and Emma Raybould over on the Spotlight Surface Live stand. Pippin’s Moss Tiles product has been designed specifically to encourage moss growth in order to improve air quality in the urban environment by absorbing carbon dioxide. Raybould’s silicastone design, displayed at the show, is an eco-architectural alternative to quarried stone for solid surfaces, which was developed at the University of Central Lancashire. including America, Italy, China and India. In a ceremony held over breakfast, the beautiful new Maggie’s Centre St Barts, London was declared the Supreme Winner, capturing the hearts and minds of the stellar panel of judges from the world of architecture and design. A beacon of design in the charity sector, the building by Steven Holl Architects was shortlisted in the Public Building Exterior category, gaining acclaim from the judges, including architect Christophe Egret of Studio Egret West, who stated “You really feel that a person dealing with cancer might feel elevated in this space”. 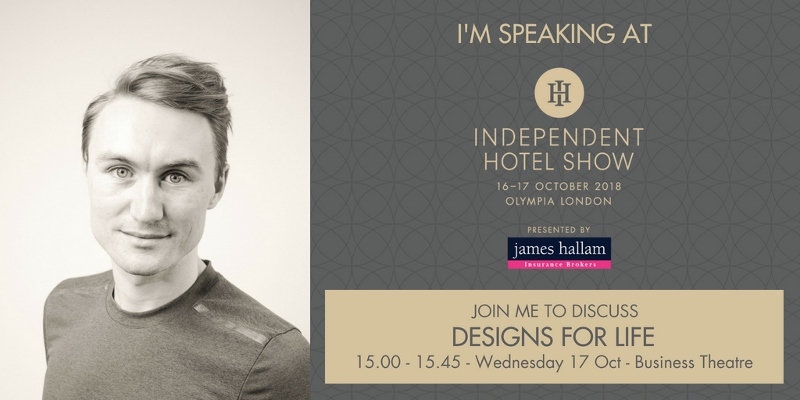 Hotel Designs was a proud media partner for the event.